Our product range includes a wide range of abrasion resistant metals, wear resistant plate, boiler steel plates, metal abrasion and abrasion resistant plate. Owing to perfection and quality oriented approach, we have carved niche in the industry by offering an enormous grade array of Abrasion Resistant Metals. Our offered pipe is strongly built with quality assured raw material and the latest technology. The offered pipe is availed in different sizes and other related specifications, to meet needs of our prestigious clients. Provided pipe is highly acknowledged among our clients for its sturdiness and durability. The policy made by the company makes us engaged in offering a quality assured range of Wear Resistant Plate that are widely used as an expansion fastener to hold the ceiling. Our offered bolts are widely appreciated by our prestigious clients for their precise design and durability. Provided bolts can also be availed in various sizes, designs and other related specifications. The entire range of bolts is manufactured by a team of our vendors adept professionals utilizing quality approved raw-material and advanced technology. 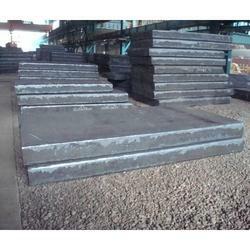 The Boiler Steel Plates are widely used in fabrication of boilers in industries. These hot rolled steel plates are made available in variety of grades and thickness and are developed to a superior quality, deliberated to hold out the internal pressure in boilers and valves. Well known for its diversity of use and longevity, these boiler plates meet the exact requirements of the industries. 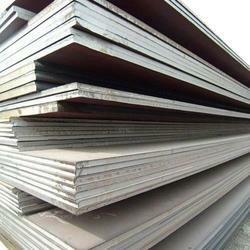 The content of carbon in these high temperature steel plates are between 0.16 %-0.29 %. 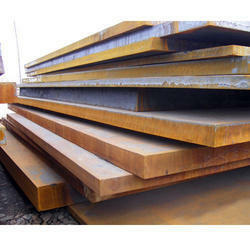 We also supply hydrogen induced crack resistant steel in SA / A516 Grade 70 HIC. The steel grade offered by us serves as default material for pressure vessel applications. Notes : A - heat analysis, B - product analysis, C - For each reduction of 0.01% below the specified maximum for Carbon, an increase ofï¿½0.06% above the specified maximum for Manganese isï¿½permitted, up to a maximum of 1.50% by heat analysis and 1.60% by product analysis. With the help of our experienced team members, we have been able to offer a wide range of Metal Abrasion. These are extensively recommended by clients owing to its application specific construction and longer functional life. We ensure maximum durability, high tensile strength and longer functional life of our devices. One can avail these products in all standard sizes, dimensions and technical specifications. Keeping in mind the demands of clients, we offer a wide range of Abrasion Resistant Plates. These are engineered using top quality raw materials and using advance technologies. Our products are available in various technical specifications and range as per the precise requirements of clients. these are extensively acclaimed for their various salient features including resistance against corrosion & rust, high tensile strength, excellent finish and longer service life.